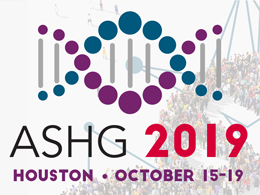 Genomics is advancing at an unprecedented pace, a fact that will come as no surprise to members of ASHG who work on the front lines of this exciting field. Over the past few years, the FDA has been working with stakeholders from across the genomics community, including ASHG, with the goal of applying our regulatory authorities to genomics in ways that encourage innovation and ensure that tests provide accurate and meaningful results to patients. Recently, we announced two new FDA Guidances on next generation sequencing (NGS)-based in vitro diagnostics that are intended to encourage further development of these powerful tests and enable more efficient regulatory review by FDA. The first guidance, “Use of Public Human Genetic Variant Databases to Support Clinical Validity for Genetic and Genomic-Based In Vitro Diagnostics,” describes an approach where test developers may rely on clinical evidence from FDA-recognized public databases to support clinical claims for their tests and provide assurance of the accurate clinical evaluation of genomic test results. Using FDA-recognized databases will provide test developers with an efficient path for marketing clearance or approval of a new test. Further, FDA believes that this guidance will encourage crowdsourcing of NGS evidence generation, curation, and data sharing, advancing the development of high quality precision medicine treatments and diagnostics. The second guidance, “Considerations for Design, Development, and Analytical Validation of Next Generation Sequencing (NGS)–Based In Vitro Diagnostics (IVDs) Intended to Aid in the Diagnosis of Suspected Germline Diseases,” discusses FDA’s considerations for analytical validation of NGS-based tests intended to help diagnose suspected germline diseases. The Agency believes the analytical validation recommendations laid out in this guidance could spur the creation of consensus standards for NGS-based tests that will be developed by the community and potentially recognized by FDA. Moreover, the guidance articulates FDA’s belief that NGS tests for germline diseases could potentially be classified in class II (moderate risk) based on conformance to the recommendations in this guidance or to standards that address these recommendations, which would allow FDA to consider exempting them from premarket review. The Agency believes these guidances will provide test developers with a more efficient path to market, improving FDA’s ability to protect public health by ensuring these tests provide accurate and meaningful results, while at the same time speeding patient access to NGS assays by lowering barriers to innovation. And importantly, the guidances will help to give patients, payers, researchers, and clinicians greater confidence that NGS platforms can reliably be used to inform critical treatment decisions and improve patient outcomes. To learn more about these two guidances, please join the FDA for a webinar on Thursday, May 24, from 2:00-3:30 p.m. U.S. Eastern Time. Laura Koontz, PhD, is a member of the Personalized Medicine Staff in the Center for Devices and Radiological Health at the U.S. Food and Drug Administration. She has a PhD in Molecular Biology and Genetics and was the 2012-2013 ASHG-NHGRI Genetics & Public Policy Fellow. The ASHG Social Issues Committee (SIC) is taking the lead on an important issue affecting genetics and genomics researchers, namely the duty to recontact research participants. At ASHG 2017 in Orlando, the Board of Directors asked the SIC to draft a Society statement offering greater guidance on this topic. Over the past few years, advances in next-generation sequencing technologies and the volume of genomic information produced have raised thought-provoking questions regarding the ethical, operational, and regulatory considerations of recontacting research participants about new genomic information that is clinically significant (such as a new interpretation of the pathogenicity of a variant harbored by participants). For individual researchers and their associated institutions, questions of whom, when, and how to recontact are daunting. What’s more, for many, the preliminary question of whether researchers have an ethical duty and/or professional obligation to recontact participants is not easily answered. To involve the ASHG community early in planning the scope and key points of the statement, Yvonne Bombard (SIC chair) and Howard Levy (SIC member) presented this topic at a CoLab session during the Annual Meeting. They described how new IT advances make greater data sharing possible and could facilitate the dissemination of information from researcher to participant. They also outlined emerging questions when considering the duty to recontact, such as 1) What kind of information is relevant and useful for participants? and 2) How does one appropriately and responsibly inform participants and use technology to facilitate contacting and recontacting? CoLab attendees provided many insightful comments useful for informing the ASHG statement. For example, they noted that research is not an open-ended commitment: funding ends and teams disband, raising questions about researchers’ duty to contact participants with new or updated information after the study ends. Attendees also discussed operational difficulties in recontacting participants or revisiting results. Furthermore, questions were raised about the appropriate method for contacting participants. Such comments highlighted the complexities of the issues and the challenges faced by researchers today. As the SIC begins drafting the Society statement on this issue, we welcome you to submit your thoughts on the topic to policy@ashg.org. All comments submitted will be shared with the SIC. Jillian E. Galloway, MS, is a Science Policy Analyst at ASHG. Learn more about ASHG’s activities in Policy & Advocacy. AJHG: How did you begin working on this project? Wouter: The realization that our TLA technology is powerful for targeted haplotyping of any genomic locus of interest triggered us to think about clinically relevant applications. Our background in thalassemia research and our close collaborations with the University Medical Centre Utrecht soon made us excited to explore whether TLA haplotyping would enable non-invasive prenatal diagnosis for monogenic diseases. Wouter: Two things. To me, the fact that our knowledge acquired through basic research on the structure and function of our genome led us to develop a novel prenatal diagnostic test emphasizes once more the societal relevance to support fundamental research. I find this important to mention, coming from a country where national policy makers propagate almost exclusively the virtues of translational research. The other very rewarding aspect of this project was our interaction with Dutch, Greek, and Iranian clinicians who work daily with cystic fibrosis and thalassemia families: they made us truly appreciate the clinical impact of this work. Wouter: I expect that, now that pre-conception screening programs for severe Mendelian disorders are being implemented in our health care system, non-invasive prenatal diagnosis (NIPD) methods will be very welcome alternatives to the more burdensome invasive tests for giving desired comfort during pregnancy. A genetic test based on a simple blood draw may in the future also provide risk couples opting for embryo selection with an easy means to confirm that the familial disease was not transmitted to the child. And variants of the NIPD method presented here may offer an attractive way to confirm parenthood, for example following in vitro fertilization. Wouter: Always, even if you are considering pursuing a tenure track academic position, ask yourself at the end of your PhD and certainly as an early postdoc: am I, and is my CV, in the top among my peers and am I truly passionate about science? If not, realize that there is a world of careers outside of academia that may be equally inspiring and rewarding to you and that this is the moment to start exploring these opportunities. Wouter: Scientists are sometimes not very different from other human beings. To recharge the batteries, I love doing sports (soccer, cycling) and love traveling with my wife and three daughters: we just returned from an amazing trip to Sri Lanka. Wouter de Laat, PhD, is a Professor of Biomedical Genomics at the University Medical Center Utrecht, Professor at Utrecht University, and Founder of Cergentis. We sat down with ASHG member Brian Shirts, MD, PhD, to learn more about his work at the cutting edge of clinical genetic diagnostics, including how his work intersects with his faith. ASHG: Tell us about your position and how it fits into your institution and its goals. Working at a university, I need to be on the cutting edge of clinical genetic diagnostics. I specialize in hereditary cancer testing and understanding the health effects of extremely rare genetic variants. When I say “extremely rare”, I mean genetic variants that I may see for the first time when I look at the results of a patient receiving clinical genetic testing, or a variant that may have only been seen in one or two other people in the world. In cancer risk genes, these variants are usually inherited and clustered in families, so I like to call them family-specific variants. I am lucky because my research interests and my clinical work go well together. I spend over half of my time doing research and developing translational applications that will allow myself and others to apply my research discoveries to clinical diagnostics. ASHG: How do you keep up with the latest in genetics science and use this in your work? Brian: I try to attend the ASHG Annual Meeting and the Association for Molecular Pathology meeting as often as I can, as I think these are the best forums for the latest in genetics science and genetic diagnostics, respectively. I also read several journals and go to journal club presentations as often as I can. ASHG: What are your favorite genetics websites? Brian: I have to give a plug for my website on family studies for rare variant classification: findmyvariant.org. Some of my other favorite genetics websites for non-geneticists are: Genetics Home Reference, Learn.Genetics, my46, and Genetic Alliance. ASHG: What are you currently reading/thinking about? Brian: I am always thinking about how to apply population genetics principles to clinical diagnostics. For something completely different, I like to read the best books that my kids are reading. I am currently reading “Mr. and Mrs. Bunny–Detectives Extraordinaire!” by Polly Horvath. ASHG: What everyday thing are you better at than everyone else? What’s your superpower? Brian: When I go to church, others tell me that I have an extraordinary talent for asking appropriate yet thought provoking questions during Sunday School. Being an outspoken scientist in a faith community can be difficult to navigate, but communicating with people from different backgrounds is a really important skill to develop. Brian Shirts, MD, PhD, is Assistant Professor of Laboratory Medicine at the University of Washington. He has been a member of ASHG since 2004.